The biggest new feature is Single Login/Multiple Websites but there is a whole lot more. Look for Release Notes shortly. One of our newer customers is the Santa Rosa Press Democrat. 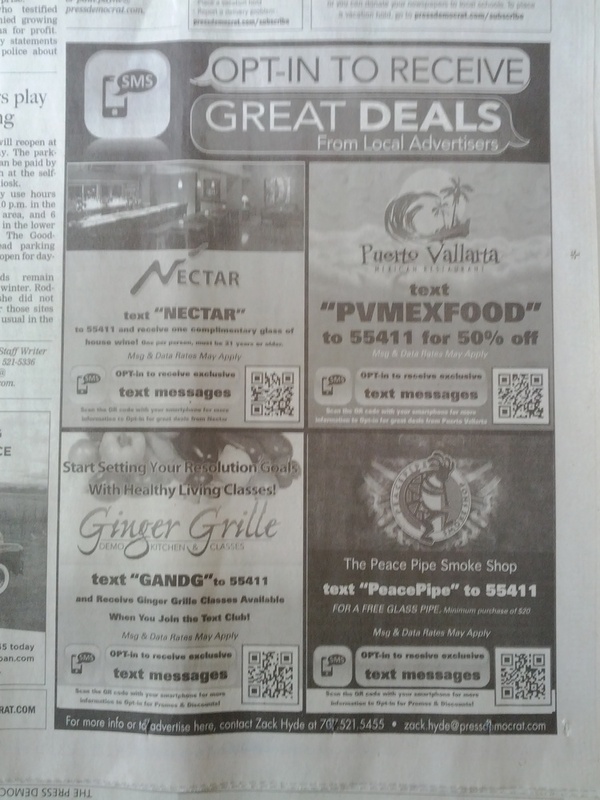 One of the idea they came up with is promoting their participating mobile advertisers in co-op ads in the Wednesday edition. A great way to get more opt-ins for these businesses and also to promote the service to other businesses to get mobile. Thanks to the SRPD for sharing. Our new “iPhone Style” mobile website template. Use the new template to give your mobile site the feel of an App. Today – EVERY business needs a MOBILE website. Your desktop site is not enough anymore. 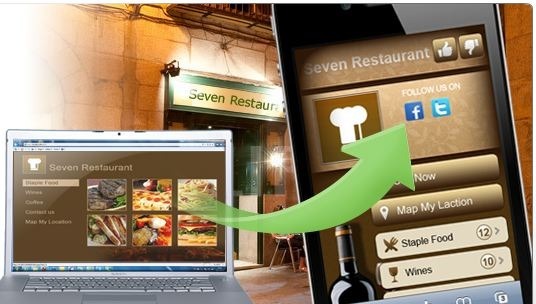 Soon you will be able to add as many of your social outlets as you like to your mobile website. Gives customers one-stop for all their follows and sharing. In one week we’ll release this new style in a few colors. Looks like an App but its a website. Look for new templates every two weeks or so.